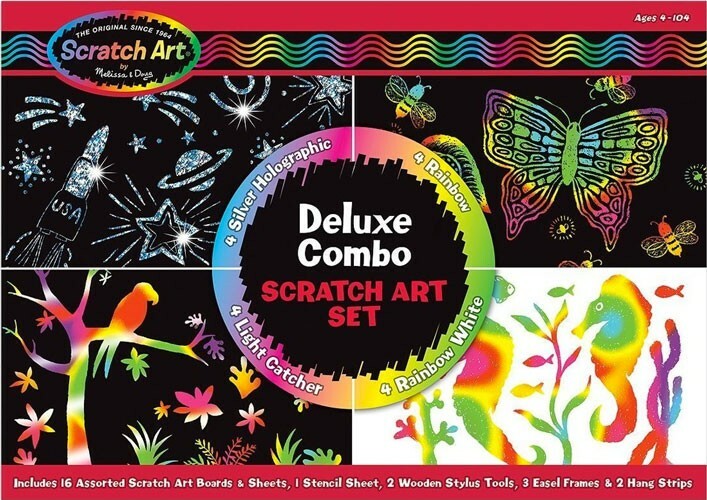 Scratch the surface and reveal designs with spectacular colors or holographic effects with this kit from Melissa and Doug. 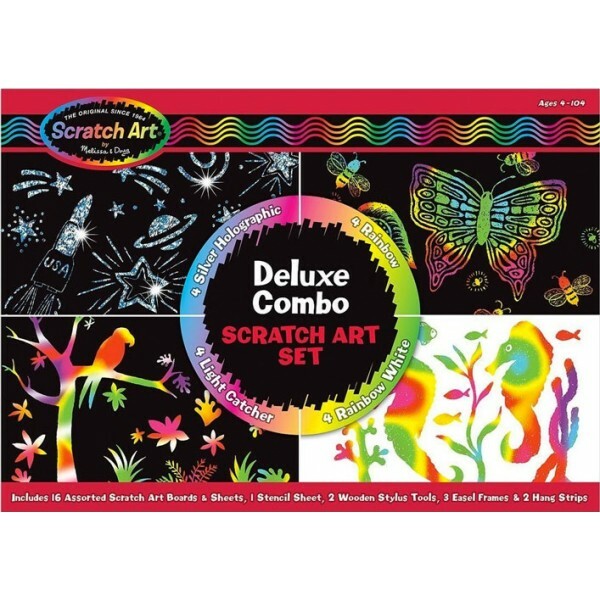 The set includes 16 dazzling creations, including 4 Scratch and Sparkle boards, 4 Rainbow Black boards, 4 Rainbow White papers, and 4 Scratch-Lite translucent stained glass sheets. 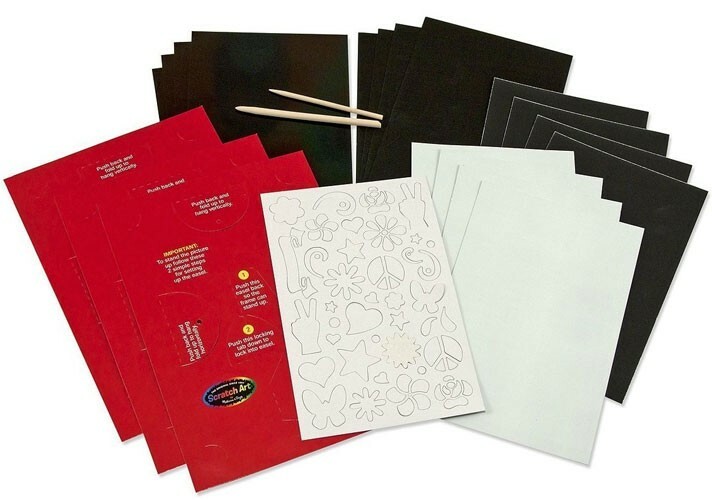 The kit also includes a stencil with 30 shapes, a fine point wood drawing stylus, a medium point wood drawing stylus, 3 easel frames, 2 hang strips, and instructions.